Perfect Ruin: Strings Arranged by Rosie Danvers, Performed by Wired Strings, Strings produced by TommyD and Felix Howard and Engineered by Mike Horner and Recorded at RAK Studios. Track produced by Felix Howard. November, 2014. 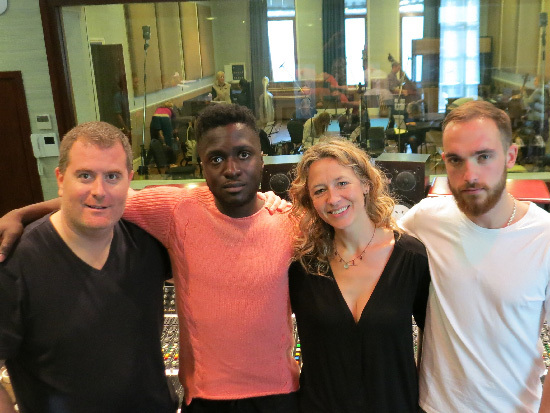 Photo from left to right: TommyD, Kwabs, Rosie Danvers and Felix Howard. November 2014.